Saving for your goals with Tavaga is absolutely free. We don’t charge you any fees. 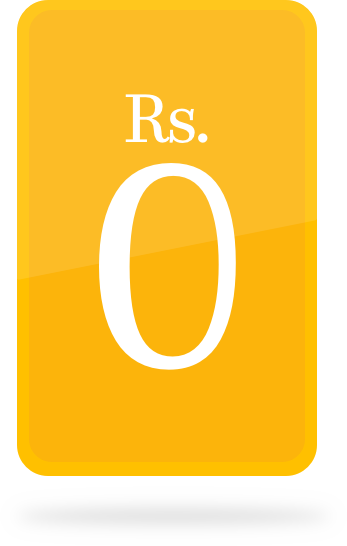 Typically called the ‘expense ratio’, this is the fee that the Mutual Fund automatically deducts from you every day. Tavaga uses Mutual Funds that are traded on the stocks exchanges called Exchange Traded Funds (ETFs). These ETF Mutual Funds are significantly cheaper than the Regular Mutual Funds and have many other cool features. So what does it really cost me? While Tavaga doesn't charge you any fee to use the app, there are certain third party costs associated with investing. You will need to set-up a brokerage and demat account to be able to transact and hold your investments. ETF Mutual Funds also charge a small fee called the expense ratio for these investments, just like any Regular Mutual Fund. Typically called the ‘expense ratio’, this is the fee that the Mutual Fund automatically deducts from your investments every day. Tavaga uses Mutual Funds which are traded on the stock exchanges, called Exchange Traded Funds (ETFs). These ETF Mutual Funds are significantly cheaper than Regular Mutual Funds, and have many other cool features as well! Since ETF Mutual Funds are available only through regulated stock exchanges, we help you open a brokerage account to invest into them. The broker we partner with charges you a brokerage on purchase and sale of these funds. As Tavaga is a sub-broker registered with SEBI, our broker partners pay Tavaga a portion of this brokerage for the business we bring them. Tavaga uses Mutual Funds that are traded on the stocks exchanges called Exchange Traded Funds (ETFs). These ETF Mutual Funds are significantly cheaper than the Regular Mutual Funds and have many other cool features. More partners coming soon!